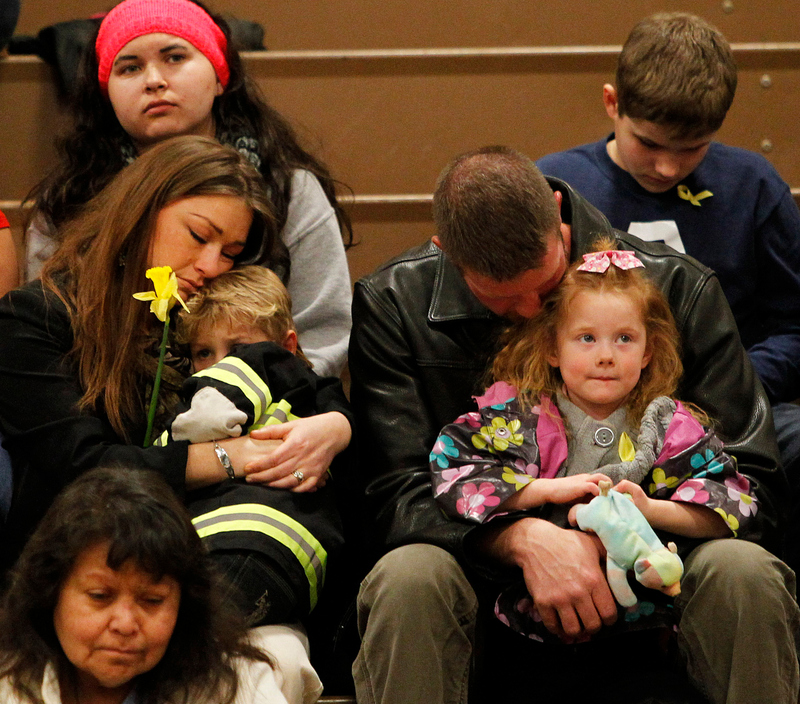 EVERETT, Wash. --- The death toll from the landslide that hit the Washington town of Oso rose to 33 on Monday, according to the Snohomish County medical examiner's office, which said all but three have been identified. The number of missing dropped to 10 on Monday, said Kelly Stowe, a spokeswoman for the medical examiner's office. The number of missing does not necessarily correlate with the number of dead, said Stowe. The missing list remains fluid as names are added and removed, she said. Spillers was a Navy chief petty officer who lived with his wife Jonielle and their four children. She was at her nursing job when the landslide hit their house. Spillers' 4-year-old son survived and was rescued by a helicopter. As the search continues in the debris for bodies, the Army Corps of Engineers is working on a berm - a rock and gravel barrier - to prevent the river from flooding parts of the debris field and state Highway 530. Engineers hope to finish the berm in a week.